January is all about saying “out with the old and in with the new”. To help you out, we’ve put together our Top 5 must-have guide to the the newest arrivals and trends so you can conquer the new year in style. Embrace your inner maximalist with a classic statement print. Whether they are larger-than-life polkadots or microdots, polkadots easily dress up any basic outfit, sans all the effort. These styles are sure to hit the spot. Get in touch with your wild side with the hottest print of the season. Look familiar? This 80’s trend is back and has been taking over runways and red carpets since last Fall. 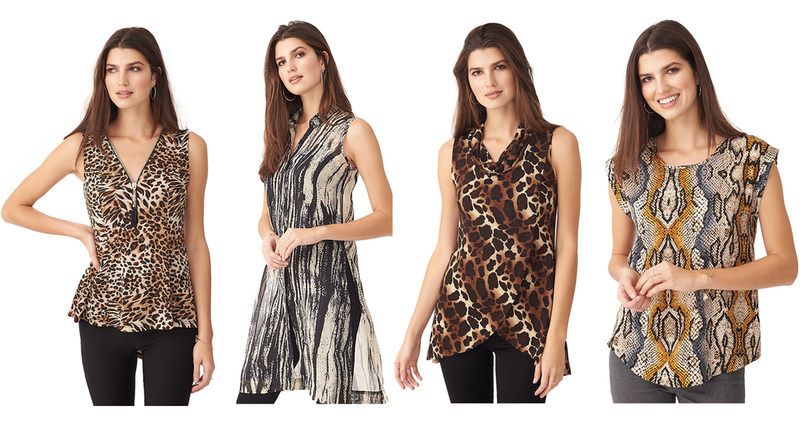 For a casual spin on these looks, try an animal print blouse with a black jeans and ankle boot, or with a red lip and pumps for a girls night out. 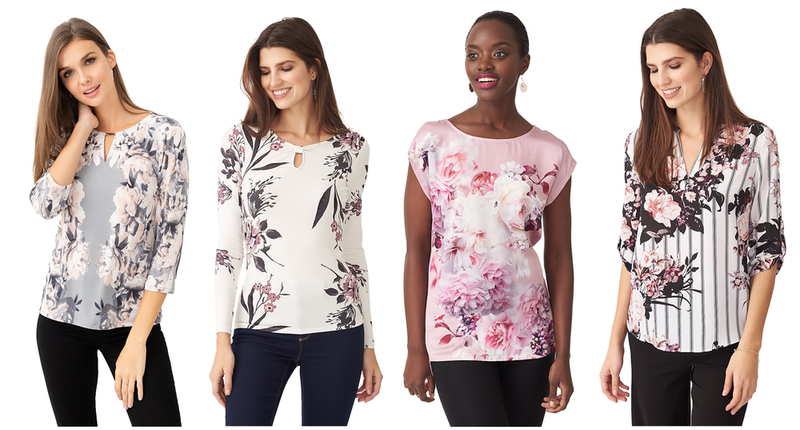 No matter the season, florals are a classic, pretty print that never goes out of style. We’re swapping out our moody florals for something fresh and soft. Pair one of these blooming beauties with denim skinnies and white sneakers for cute and feminine look you’ll be sure to wear on repeat. This is a trend we don’t want to miss. Carefully placed and sure to make an impact, whether functional or decorative, these buttons can be seen dressing up all types of garments. Let your buttons do the talking and be sure to stand out in a crowd with these statement makers. 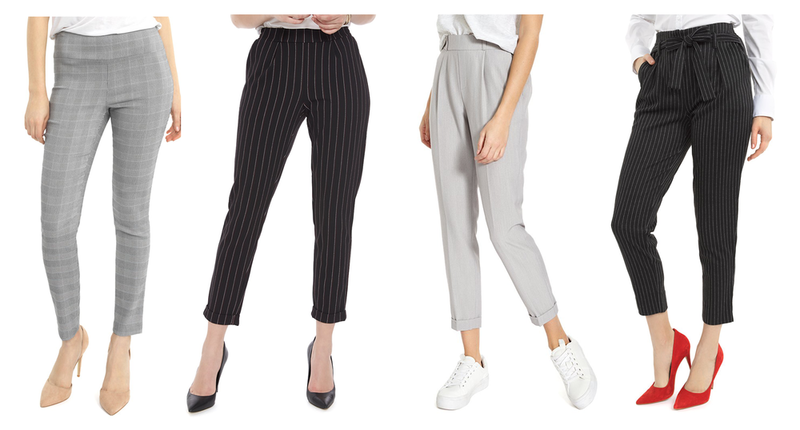 While the classic dress pant will always be in style, this season statement pants are taking center stage. The ankle crop is a great style to transition into spring or opt for a sashed style that can take you to the from the boardroom to dinner with ease. Here are our picks for the newest (and comfiest) silhouettes for spring.